Those principles and methods have been appropriately applied to the facts of the case. The witness has been teaching in that area of expertise for three of the last five years. The statute goes on to provide a number of other specifications, but it’s fair to summarize them by saying that, in order to testify, your witness must be a practicing physician in that specific field. Interestingly, the statute arguably places the judge in the role of determining whether or not a witness can ultimately be qualified as an expert. Typically, the jury gets to decide whether or not a witness is credible. In the context of expert witnesses, the judge can prevent the jury from ever hearing their testimony. As a result, it is critical that your attorney select an expert with the necessary qualifications. In addition, your attorney must also persuade the judge that your witness is, in fact, an expert in the field in question and meets all of the statutory requirements. As part of this process, your attorney can request a pre-trial hearing pursuant to Georgia law in order to determine whether your witness qualifies as an expert. 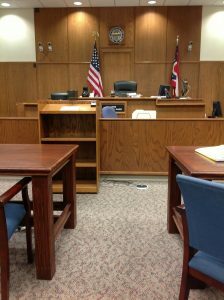 That way, you can proceed to trial knowing whether you have the testimony you need to prove your case. If you’ve been injured in an accident, you need to be prepared for the fact that the other side will argue that your claim isn’t credible. In order to rebut that argument, you need an attorney who can find the right expert witnesses you need to support your claim. The attorneys at Slappey & Sadd have been helping injured people across the state of Georgia since 1992, and we can help you build the right case to get the compensation you deserve. Call us at 888-474-9616 or contact us online to schedule a free consultation with one of our attorneys.